PhotoSweeper Review: The Facts and How to Use? Unless you don’t need to take or store photos, you know how duplicate photos annoy people. If you once tried to find and delete your duplicate photos, you must have realized the easiest and most effective way is using a professional duplicate photo remover. But it is not that easy to find a program performs as good as you expect. Today, we are going to review PhotoSweeper, a swift and powerful duplicate photo finder for mac that enjoys a large popularity, to help our users to decide if they want to have a try on this program and how to use PhotoSweeper on mac for duplicate removal. As we have mentioned in the very beginning, PhotoSweeper is a dedicated Mac program to find, compare and delete duplicate photos from hard disk or external storage. Also, it allows users to compare video files. In the following parts, you will learn all the facts about PhotoSweeper. Users can download the program on its official website, the installation package is 28MB and will take a space of 34 MB on your Mac for the installation. To tell the truth, PhotoSweeper works good to find and remove duplicate photos, but it is not really simple to use, especially when you want to utilize some of its features for accurate scanning and removel. PhotoSweeper allows users to access to its abundant settings to remove duplicates, which make this program a little complicate than others. Therefore, for users who carry out the 1st installation, there will be an individual window with several slides prompting necessary PhotoSweeper tips on how to use this tool. This is very helpful. The interface will depend on which mode you choose and the main toolbars are located on the bottom of each interface. On the Welcome screen, you will be guided to choose from 3 modes: Single List Mode, Side to Side Mode, Restore Last Session. It allows users to find duplicates in one set of photos, that is to say, you can drag and drop a folder to the program, then the program will scan and compare duplicates within this single folder. It allows users to find duplicates between two sets of photos. That’s to say, you can drag and drop a folder or image into each side of this window, the program will find and compare duplicates storing in these 2 folders or images. By choosing this mode, the program will restore photos and comparison results from the previous session. It will either be Single List Mode or Side to Side Mode. After dragging and dropping the folder to PhotoSweeper, all the photos will be displayed on the interface, but how to find duplicates fast? Under the “Find Photos”, PhotoSweeper allows users to access to different settings to find the duplicates fast and easily. Name, Capture Date, Rating, Color Label, Favorite, Flagged, Rejected, Referenced, On Cloud, Marked, Locked, Missing, Keywords, File Type, File Size, File Created Date, File Modified Date, Folder Name, Album Name, Project Name, Library Name, Image Width, Image Height, Image Orientation, Image DPI, Color Profile Name, Exposure Time, F Number, Focal Length, ISO Speed Rating, Flash Fired, Camera Maker, Camera Model, Camera Lens Model, Editing Software. As you can see, PhotoSweeper contains the most complete setting to fast find photos, most of its competitors just allow users to find photos according to some common-used parameters, such as Name, File Size, Created Date, File Type. After PhotoSweeper has found all needed photos for you, you can click on the “Sort by” menu to decide how these found photos displayed sequentially, according to Date Added, Date, Title, File Size, Dimensions, Ascending, Descending. PhotoSweeper enables users to compare and detect duplicate files, similar photos and series of shots. Under each Compare mode, users can access to basic or advanced settings accordingly. Under this mode, PhotoSweeper will compare and find out duplicate photos that look exactly the same. Under this mode, PhotoSweeper allows users to find similar photos by tweaking the settings. As for the parameters, it is easy to understand and users just need to choose according to personal needs. Many of us prefer to take pictures under continuous shooting mode with the intention to choose the best shot later. And the “Series of Shots” of PhotoSweeper is powerful for us to find duplicate or similar photos from series of shots. Once you have clicked on the “Start” button to process the comparing, PhotoSweeper will prompt you to mark the photos for removal. You can auto mark according to preset preferences, or manually mark one by one later. For Auto Mark, you need to check the rules for auto mark by clicking on “Show Preferences”, then tweak according to your personal needs. 2. Face-to-Face: preview and compare 2 photos at the same time, then mark the one you want to delete; 3. All-in-One: preview all the duplicate files in the same window, this is convenient when you have to preview a lot of duplicates. PhotoSweeper delete duplicates to trash bin and those removed duplicated won’t be permanently deleted. This feature allows users to restore the deleted duplicates if they accidentally deleted some photos. PhotoSweeper offers free 30-day trial version before any commercial decisions, and only 10 photos can be removed for free. If you need the full service, you will have to pay $9.99 to get a license. This program is perfectly suitable for users who have some advanced skills to work with a desktop program, and need to find duplicates from a great many of photos, since this program is exclusively to find and delete duplicates photos on mac. How to Use PhotoSweeper on Mac? Step 7. Finally click “Trash Marked” to remove those duplicates you have marked within the program. 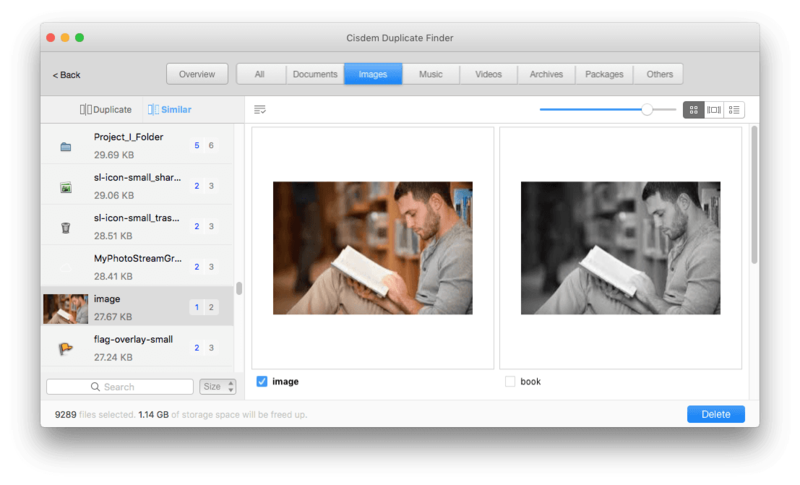 Besides PhotoSweeper, there are other excellent programs to find and delete duplicate photos on a mac, such as Duplicate Annihilator for Photos and Cisdem Duplicate Finder for Mac, they all are top-rated and support the new MacOS Mojave. Duplicate Annihilator created by Brattoo Propaganda, offers a series of duplicate finders, including Duplicate Annihilator for Photos, Duplicate Annihilator for iPhoto, Duplicate Annihilator for iOS and Duplicate Annihilator for Aperture, which designed for different photo storage device or application. As for Duplicate Annihilator, it is a mac program helping users to find and analyze duplicate photos in Photos library. How to Find and Delete Duplicate Files with Duplicate Annihilator? 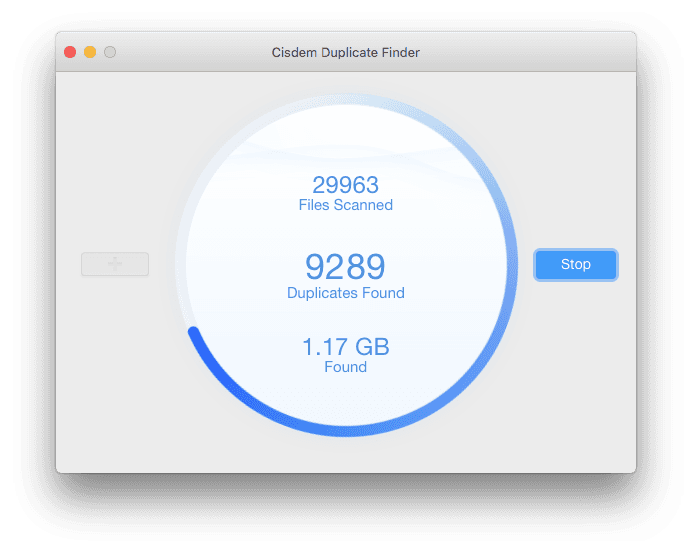 Cisdem Duplicate Finder for Mac, a professional mac program to find and remove duplicate photos, videos, documents, audios, archives, etc from internal or external storage device. With 3 steps, scan-report-delete, users can easily remove duplicates permanently or to trash bin. Also, users can find similar photos with this program. How to Find and Delete Duplicate Photos with Cisdem? According to above, we can conclude that, for users who want need to deal with tremendous quantity of photos, PhotoSweeper is the choice, but if you want to find various duplicate files or are looking for a solution simple yet efficient, Cisdem Duplicate Finder is worth a try. So, is there a Windows version for PhotoSweeper? No. As we learn from its official website, there is only MacOS version available. But no worries, the best alternative to PhotoSweeper on Windows exists---DuplicateCleaner Pro. DuplicateCleaner Pro is a Windows program to find and delete duplicate files, even duplicate folders. It can scan and delete photos, music and documents. 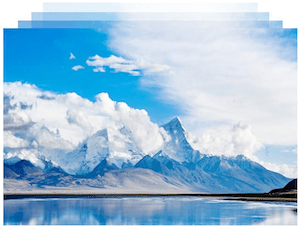 How to Find and Delete Duplicate Photos with DuplicateCleaner Pro? Download and install DuplicateCleaner Pro on your Windows PC. Tweak the search criteria for fast scanning. Specify the place to scan and wait for the scanning process to finish. Then Preview found duplicate photos. Click on “File Removal” to delete duplicates. PhotoSweeper is absolutely a great tool for advanced users who have to deal with a lot of photos, but deal with duplicate photos only. If you want a tool to do the job in a simple and easy way, or need to find duplicate videos, audios or other documents, you can try others that on our recommendation list, such as Cisdem Duplicate Finder for Mac. With the passage of time and the development of interpersonal relationship, the content in the contacts is richer and richer. An awkward question appears, there must be duplicates, wrong information, incomplete information or other problems, here we introduce 5 Mac contacts management apps for you in the blow, you can choose the most suitable one. At present, there are a variety of Mac file recovery softwares on the market, which one is the best? This is a complex question for majority Mac users. I made a summary of Mac file recovery review 2018, which will show you top ten Mac file recovery softwares on the market from main features, price, pros and cons, etc.